2018 will be an important year for those families in our parish who have a son or daughter preparing to receive the Holy Spirit through the Sacrament of Confirmation. 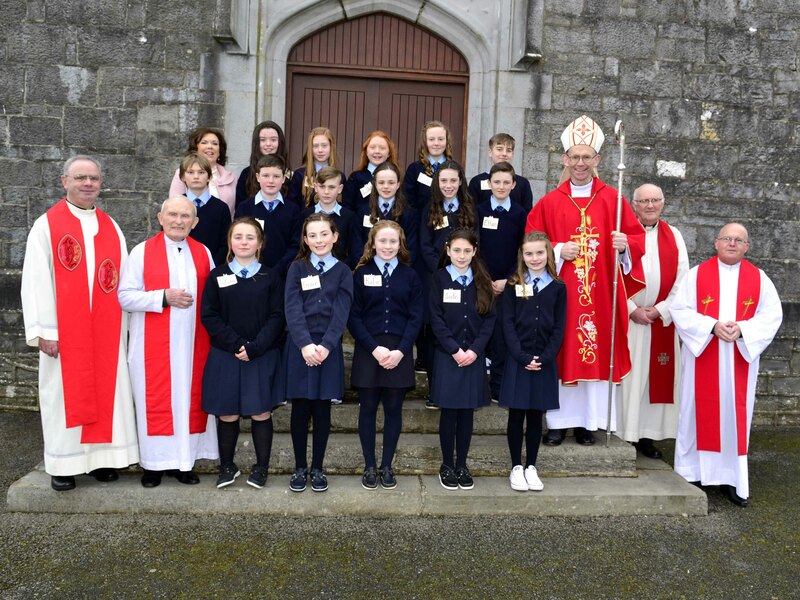 Bishop Fintan Monahan will visit the parish on Thursday, 22 February 2018 to celebrate the sacrament of confirmation with the sixth class children from Kildysart and Coolmeen-Cranny parishes in St Michel’s Church, Kildysart. These final months of preparation will involve the families, schools and parish working together for the good of the young people preparing to receive the sacrament. The parish part of our preparation will include the ceremony of enrollment which will take place during Sunday Mass and a liturgy of light which will take place during a special liturgy. Confirmation, Thursday 22 February, 2018 in St Michael’s Church, Kildysart. We are also planning a retreat for the young people who will be confirmed in 2018. During our meeting with parents on 17 September last it was suggested that our confirmation class might wish to adopt a confirmation project. One proposal is that after their confirmation, each child is invited to make an anonymous donation (€10 is suggested as a guide) to help the work of Crumlin Children’s Hospital in Dublin. This would be a lovely example of the fruits of the Holy Spirit as our children use a part of the gifts they receive for their confirmation to help sick children. Posted on October 11, 2017, in Uncategorized. Bookmark the permalink. Comments Off on Confirmation – Thursday, 22 February 2018.